I enjoy living at Bradford Oaks because of the sense of community formed between the residents in our building. Everyone is friendly and we can count on each other when we need to borrow something or need a laugh. We are so happy that you're pleased with our community. Our priority is to provide excellent customer service, so thank you for taking the time to share your experience with our future residents. If you need anything, please don't hesitate to contact our management office. 850-574-3909 or email us at bradfordoaks@assetliving.com. Haven't lived here long, so I can't say anything about maintenance cause I haven't called on them yet. Can get slightly noisy with more rowdy residents outside, but inside the apartment is quiet. Good price, good location close to FSU. Few things make us happier than satisfied residents! We are so pleased that you enjoy calling Bradford Oaks your home! Please let us know if there is anything you need to continue to love your home! 850-574-3909 bradfordoaks@assetliving.com. I love living here. I lived here for 3 years now and I’ve never had any bad problems with anything. The management is very responsive and helpful. We enjoy having you here. We have been actively working on making improvements for our residents and are happy to see that they're being noticed. We appreciate you taking the time to give us positive feedback and we look forward to many more good experiences. If you ever need to contact us you can do so directly at 850-574-3909 or bradfordoaks@assetliving.com. Our management office is open M-F 9-5. Friendly and clean people. Barely had any issues with any of my neighbors! The community is mostly consisted of students and we are all respectful of our complex and parking spaces. Hey Zachary, we enjoy having you here! We have been actively working on making improvements for our residents and are happy to see that they're being noticed. We appreciate you taking the time to give us feedback and we look forward to many more good experiences. If you ever need to contact me you can do so directly at 850-574-3909 or bradfordoaks@assetliving.com. Our management office is open M-F 9-5. We have workers fixing up the exterior of Bradford Oaks and it is already looking nicer! They’ve power washed, painted, and added picnic tables among other changes. I’m very pleased. We really appreciate you taking the time to leave this positive review! Your time is valuable and you spent some of that time to compliment us – THANK YOU SO MUCH! Let us know what we can do to keep you happy! Our management office is open M-F 9-5. Phone: 850-574-3909 Bradfordoaks@achliving.com. 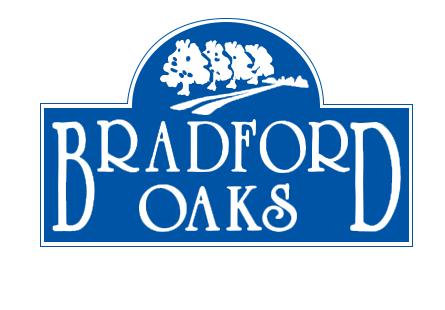 My experience at Bradford Oaks has been pretty good however new management takes a while to respond to complaints/concerns and at times seems uninterested in helping. We enjoy having you here. We have been actively working on making improvements for our residents and are happy to see that they're being noticed. We appreciate you taking the time to give us positive feedback and we look forward to many more good experiences. If you ever need to contact us you can do so directly at 850-574-3909 or bradfordoaks@achliving.com. Our management office is open M-F 9-5. Love living here it’s awesome! Great community of people, management takes care of problems quickly and efficiently. Buildings are spacious! It’s been great living here so far. Renovations are being made and the aparments are looking better and better. I do think the price could be a little lower because there is no gym or public pool area. We are so happy that you're pleased with our community. Our priority is to provide excellent customer service, so thank you for taking the time to share your experience with our future residents. If you need anything, please don't hesitate to contact our management office. 850-574-3909 or email us at Bradfordoaks@achliving.com. Love the community! I admire the steps management is doing to make our living spaces nicer and cleaner, and they generally do a good job of responding to issues regarding maintenance and similar things. Thank you for choosing us as your home and for taking the time to share your opinion with our future residents. You may contact our management office directly at 850-574-3909, M-F 9-5, or email us at bradfordoaks@achliving.com. I love the community, distance from campus, and safety among residents. I love that we look out for each other and communicate in person or on the facebook page. I have really enjoyed my time living at Bradford Oaks. I live in the updated unit and my experience has been great. I love the flooring and the new appliances. I wish we would have received better mold-treatment when the apartment above us flooded. Other than that, great experience. This is an Incredible community and professionaly managed.I feel safe and would highly recommend it to anyone who is looking for affordable living. This is a great place to live. Everyone gets along great and they're all so kind. It's just a basic apartment with nothing special but it's a good time. Nice large rooms and nice living room. Reasonable condition not a dive like some. Many nice residents who are involved with Christian organizations on campus. It is the best valued apartment I've seen in Tallahassee. No unnecessary bells and whistles that I have to pay for that I never use. I just pay for what I want! I really enjoy the community that Bradford Oaks has. People get to know eachother and it’s very pleasant to have that. In addition to the great location and affordability, Bradford Oaks was the right choice for me. Thank you so much for your review. Glad to hear you've been enjoying the community! Have a great week! I am just beginning my second year living at Bradford Oaks. My landlord is great, my apartment is in good condition & the community of residents cannot be beat! Bradford Oaks is a great place to live. The community is very welcoming. The property manager is very good about resolving any problems that may arise even after business hours. The rent is extremely cheap for my experience at Bradford Oaks! The staff is incredible! The location is great! Getting this apartment at this price feels like a steal! Ally, Thank you so much for your kind words. Resident satisfaction is very important to us so your review made our day!!! Please let us know if there is anything we can do to help you continue to enjoy your home. Great community! normally reliable prices from year to year, has recently been going up but still decently cheap. Really love the people living here!